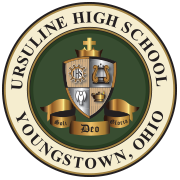 Per the Ohio High School Athletic Association, all athletes must have an annual physical on record at Ursuline High School. The linked completed form is required for athletic participation. Questions about the annual physical requirements, may be directed to the Ursuline Athletic Department at 330-744-4563.